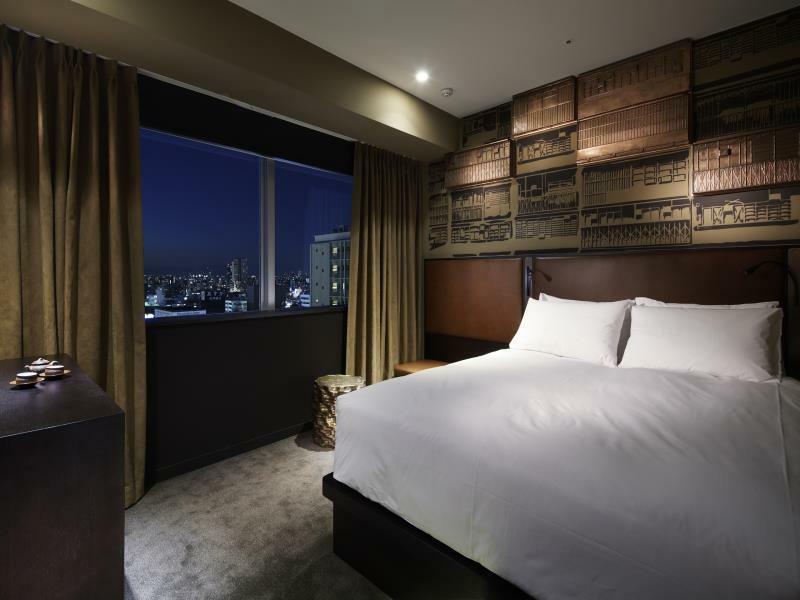 Heeft u een vraag voor Shinjuku Granbell Hotel? 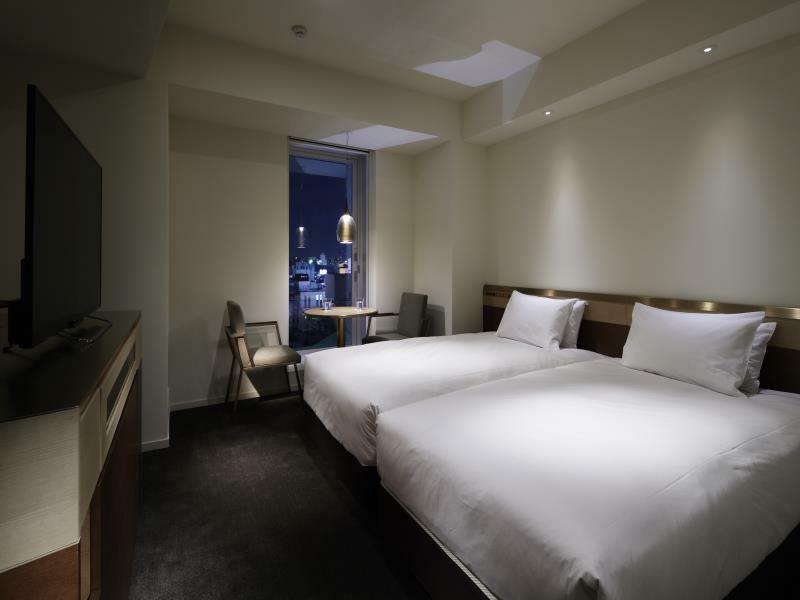 Een kwaliteitsaccommodatie voor wie geïnteresseerd is in restaurants, winkelen, nachtleven: het Shinjuku Granbell Hotel in Tokio is een prima adres voor zowel zakelijke reizigers als toeristen. Het hotel ligt slechts 0 km van het stadscentrum: lokale bezienswaardigheden zijn dus snel te bereiken. Dankzij de praktische locatie liggen alle belangrijke trekpleisters in de buurt van het hotel. 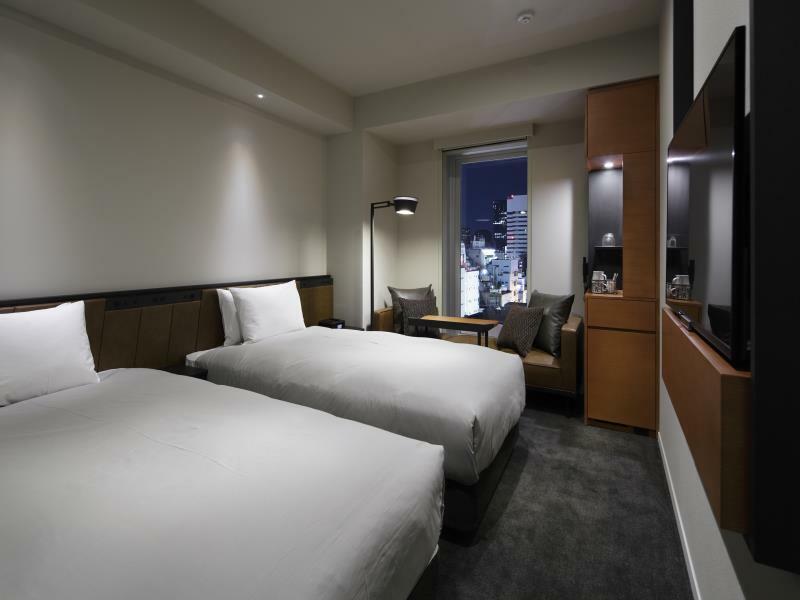 Bij het Shinjuku Granbell Hotel staan de excellente dienstverlening en superieure faciliteiten garant voor een onvergetelijk verblijf. Maak in het hotel gebruik van een selectie topklasse faciliteiten, zoals gratis wi-fi in alle kamers, 24-uur receptie, faciliteiten voor mindervaliden, snel in- en uitchecken, bagageopslag. De ambiance van het Shinjuku Granbell Hotel weerspiegelt zich in de inrichting van de kamers. plasma tv, vloerbedekking, spiegel, slippers, sofa zijn slechts enkele van de faciliteiten die u ter beschikking staan. U kunt de hele dag genieten van de ontspannen sfeer van de massage. 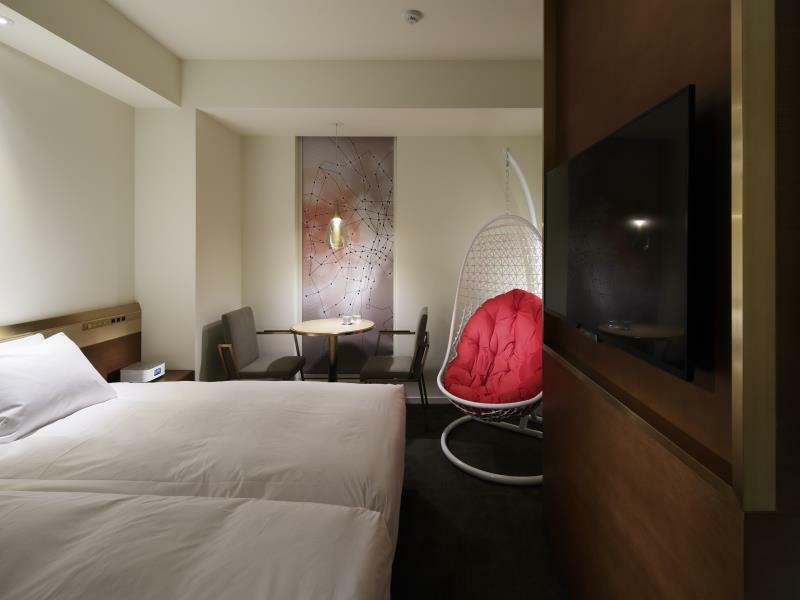 Geniet van ongeëvenaarde dienstverlening en de prestigieuze uitstraling van het Shinjuku Granbell Hotel. Er geldt een toeslag van 2.000 JPY voor het gebruik van fiets. De accommodatie kan uw bagage alleen voorafgaand aan het inchecken bij de front desk bewaren. Voor gasten die de Run of House hebben geboekt, zal het kamertype bij aankomst worden toegewezen op basis van beschikbaarheid. Gasten kunnen het kamertype niet uitkiezen. Cannot beat the location. Really nice hotel, rooms are on the smaller side for sure, but nothing out of the ordinary for most Tokyo/Japanese hotels. Really nice facilities, clean place. Overall would stay again. We booked the Economy Double Room and its not the same room as pictured on Agoda. The location is relatively good, however, located in a rather seedy part of town (especially at night) with alot of "massage parlours" and "karaoke night clubs" in the vicinity. Be wary of night club bouncers standing on the streets trying to lure you into their bars/clubs. The hotel itself is very clean and modern, perhaps the best kept hotel in the area. Room configuration was not very well thought out. Only enough space to open one large luggage bag. Staff not very accommodating when asked if we could keep our luggage at the concierge. Water pressure in the shower is not very strong. I wouldnt have so many complains if the room was priced lower. Kinda feel like we overpaid for what we got. 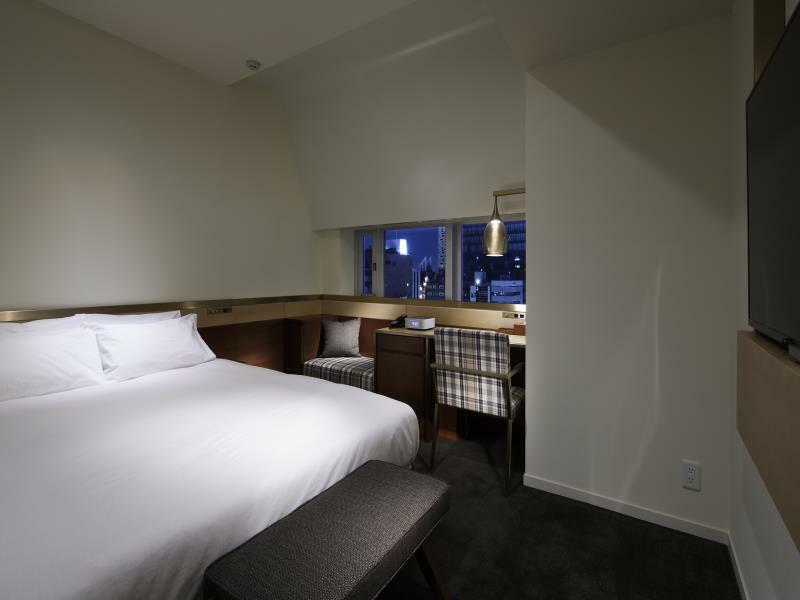 The hotel is located in a convenient area, near Higashi-Shinjuku Metro stop. There’s plenty of options for groceries, bars, and restaurants nearby. It’s clean and well-organised, and the staff members were friendly, polite and helpful. The rooms are tiny (which we learned later that is a normal thing in Tokyo). We could barely fit our carry-on luggage in our room with space to walk. Other than that, we really enjoyed our stay here and would recommend this hotel to anybody. We used this hotel just few days ago, stayed for 5 nights and it was a good experience. Hotel ameinities was enough, everything is complete for usage. Room cleaning was simple with instructions. They change just towels and sheets. No wipe down or vacuum which is ok, as we are not messy couple. Maybe not good idea for kids. Overall hotel is clean and new. Their wifi works great. Staff was helpful and friendly. Good location even though in red light district but safe. A 15 mins walk to the shinjuku station or there is another train station nearby which you can use but needing transit. What really complete this good experience is that they have a portable HANDY device which allows you to use data to do search on Google or Google Map. Can also make calls locally or internationally (selected countries) for free!. If they advertised this, I think the hotel will be very popular. I hope they will continue to provide this device. Will surely return. The toilet walkway was really cold, and the speakers in the outdoor shower wasn't working. There is also no privacy curtains for the outdoor shower. Shouldn't assume that people are all ok to shower in the open for everyone to see. LOL! Can consider as the hotel is pretty new. 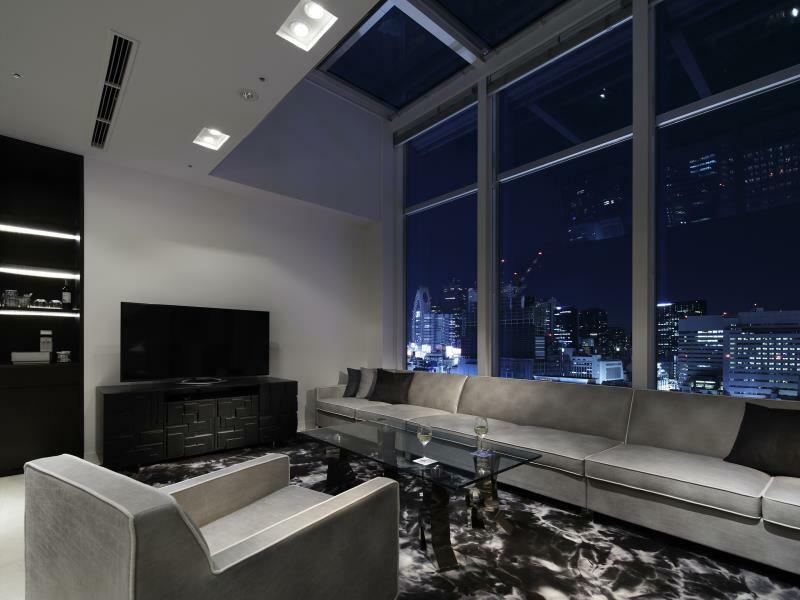 I like the sofa besides the window. The twin bedroom is very compact, allowing little room to open a standard 24" luggage. Hotel entrance not facing main road, as such not easy to get a taxi. Concierge can help to call for a taxi, with a up charges of 410yen on top of the metered fare. Taxi fare from hotel to Golden Gai around 500yen, and to Shinjuku station is approximately 1000yen. 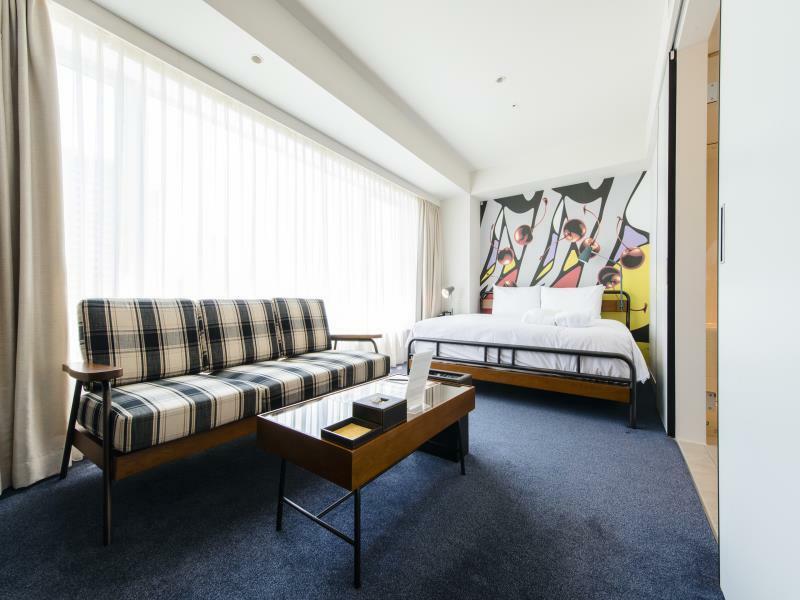 Short walking distance to Higashi Shinjuku station and Golden Gai can be reached by foot in about 7 mins. Poor room ventilation resulting in feeling stuffy at times. There are air purifiers in the walkway but not in room. Room is very small yet cosy and clean. There are a few drinks and food vending machines at the lobby. Lawson(similar to 7-11) is location just behind the hotel. Good location with just a few mins walk to metro station. We stayed in 2 different rooms in our 3 nights at the Granbell. Superior double and deluxe double. The smaller room used the space much better. The larger room has the shower outside of the tub and the toilet in a separate closet. The sink is also outside of the washroom. None of this made sense to me. Opt for the smaller of the superior and deluxe. It makes much more sense. 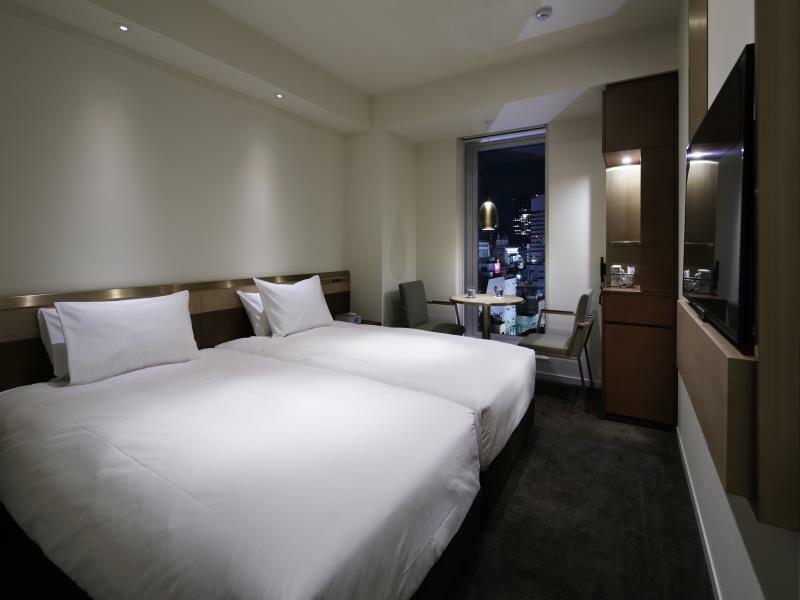 Location is great as you can get to anywhere in Tokyo from Shinjuku Station. Staff is helpful with everything I needed. It was my girlfriends birthday, so we went to restaurant for cake. Nothing special. Still charged us for birthday cake. At least they put a candle in the cheesecake. Lots of foreign tourists. The hotel staff can speak English, Chinese and so on. The subway station is just 5minutes walk. You can walk to Shinokubo or Shinjuku. I recommend this hotel for especially foreigners and Japanese too. Mature Luxury Double Room was clean with great contemporary decor. Large enough for North American standards. 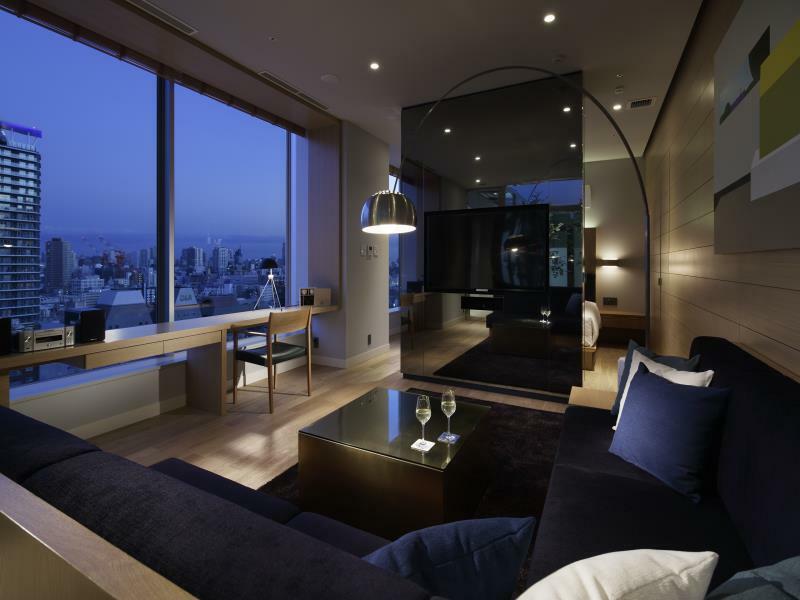 If you plan on staying in Shinjuku, it's in a great location. Downside, if you are a family with small children, there are some red light establishments in the area. We stayed here for 3 nights. Just like many other hotels in Tokyo compared to our previous visit, the rooms were small as usual and I can't complain on that. The hotel staff were very friendly and helpful. Buffet breakfast was good. The lobby was nice and inviting. The room was OK, nicely furnished within that small space. It was a convenient location above all. We won't hesitate to stay here again. Clean hotels, well functioning shower and all bathroom needs, comfortable bed, great that it comes with a “handy” cell phone that you can take out with you for the WiF; data is hard for international travelers to use on their own phones. 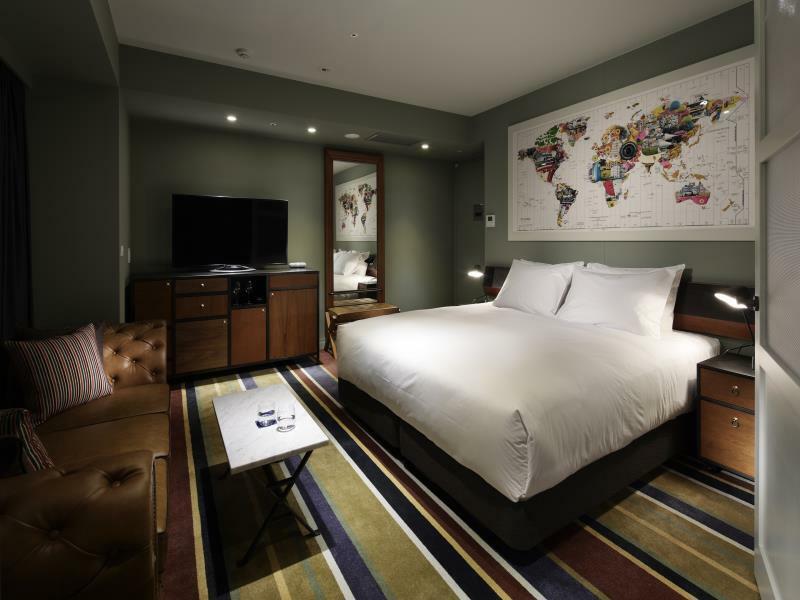 This hotel is nice, smaller rooms are still enough space for 2 people with medium / large suitcases, as long as you’re not planning to lounge in the hotel all day.